In Genetic Genealogy success takes many forms. It can mean finding the ancestors beyond our current brick wall; finding new cousins and persons related to us who can help with the research; finding birth parents or, at least, the biological surname; or determining who isn’t related so we can focus on others branches of the surname. After twenty-five years of genealogical research at the libraries in Georgia, Georgia Archives, National Archives (Atlanta Branch), South Carolina Archives, North Carolina Archives, Library of Virginia and three trips to the UK and Ireland, I gave up on my Smith surname! However, you know genealogist's never really give up, so I resolved to use DNA as a last resort to discover the ancestry of my maiden name, SMITH. All of my other lines were easy to trace for many generations, but SMITH was impossible. The next step was to find a living male SMITH in my line to test for me. I am an only child, my father is deceased, I do not have Smith uncles, and there are no male Smith first cousins. Finally, I found a Smith second cousin who agreed to test for me. I paid for a 12 marker test, but those results were insignificant. I upgraded to 25 and found to my surprise that I was not really connected to Smith's. An upgrade to 37 and finally 67 markers indicate that my surname is probably Dulin or Doolin. I wanted to be sure that I had not discovered some recent NPE (Non-parental event) among just my Smith great, great, grandparents. Thus, I searched and found another Smith second cousin and finally convinced him to encourage a male Smith in his direct line to test. He tested at 67 markers and his Y-DNA indicate Dulin/Doolin as well. Ah-Ha! How exciting! We must be Dulin's. A name change or a NPE must have occurred in the mid to late 1700's in the US or Ireland. I searched for Dulin's in George and according to census records, I found several Dulin families living near my Smiths in the early 1800's. That is where I am in my research now. I can't prove any connection to those Dulin's. I know my Smith's are Irish because all my other ancestors in that area of Georgia are from Ireland. One of my trips took me through Doolin, Ireland a few years ago. I wish I had known this then. Without Y-DNA, I never would have this. I wish I could prove this with a paper trail and maybe someday I will find the common ancestor that ties my Smiths and the Dulin/Dooln lines together, but for now, DNA has proved I am a Dulin/Doolin. DNA testing has proved some of my theories about the TULEY surname. 1. Phonics matters. Tuley and Tooley are related, but Tuley and Talley are not related. 2. The Indiana Tuley's and the Virginia Tuley's are related, even though the documentation no longer exists, if it ever did. Now I know only to focus on Tuley and Tooley spellings and their variants. My family has been in the Americas since the 1600’s while others were already here. I consider my self the original “Melting Pot” Scottish, Irish, Dutch, French and Native American. I started the DNA search because I wanted to see if my Grandmother was indeed Cherokee as she had said. She had told us that her mother had papers and that when her mother died in 1894, she went to Missouri to live with her relatives. Her aunt made her burn her papers in a wood stove. I thought they were just embarrassed; however, after reviewing the trouble Native Americans went through in the mid to later 1800’s I guess she destroyed them for self-preservation. Anyway, I had a direct line from me back through my mother 6 generations to Jane (Jennie) Williams Tally (Her mother appears to have been a Hays so this will follow the Hays Family). I completed my mtDNA; alas, I discovered the unique properties of the mtDNA it went 6,500 years back to Alpine Europe with a haplogroup of J1a. Only one other person, in the whole data base matches me. Not quite what I had expected, but those Europeans were creative. I found out you have to trace the right ancestor for the results you want. That probably would be John Tally Sr.’s first wife (a Native American probably from the Chickasaw Tribe). Of course there were three boys and no daughters so with out knowing her family and sisters, there is no way to trace her mtDNA. Though I did not get the mtDNA results I had expected, the research did help me to find relatives 3 more generations back and a lot of wonderful relatives out there in the cyber space who are pursuing the same things, and sharing their information! No one else matched; we only appear to match to each other. We now know for a fact as far back as Peter. This provided the data to all my cousins who descend from James Franklin Corbin. The research also created other avenues to travel (i.e., William Riley Corbin’s wife “Rosanna Barnett” goes all the way back and proven to Jamestown Colony.) We now know she also goes back to Pocahontas. This is my father’s side. The Bunch Family on my mother’s side always said they also went back to Pocahontas, and the Book “Parks/Bunch the Trail West” by Alice Crandall also says this. On a side note, it appears that my male Tally line is also from haplogroup R1b. DNA testing proved a family rumor true for me. It was rumored that my paternal grandmother had an affair with a man called Lambert, which may have led to my father's birth. My father, however, was given the last name Johnson, after his purported father. I recently got tested and was found to match a Lambert in the pool! I have since found my father's true siblings (though they are not interested in knowing us), and the names of my paternal grandparents. This story started in Feb. 2005. I submitted a DNA sample from a male WILLIAMS. At that time there were 120 members in that Project. April 2005 a 12/12 match with a WILLIAMS sample in Tennessee. And we had an R1a Haplogroup estimated which was rare in the WILLIAMS Project. By Sept. 2007 our little group had grown to five members. One was the son of the first DNA match, another was a known cousin of his. But none is a closer match to "my" (or "our") sample than the first one which was 34/37. My paper trail is still stuck in Kentucky, and his is in Tennessee, reaching toward North Carolina. My county in Kentucky and his county in Tennessee are pretty close together. It is possible that someone 'crossed over', but I have no clue when nor who. There are some close matches with other surnames, but I see nothing conclusive. One is in England, not the U.S.A. I will be featuring these stories from time to time. The National Geographic Society just sent me the following email. They are reducing their testing price until January 2nd. You may know your family’s ROOTS, but do you know your family’s ROUTES? 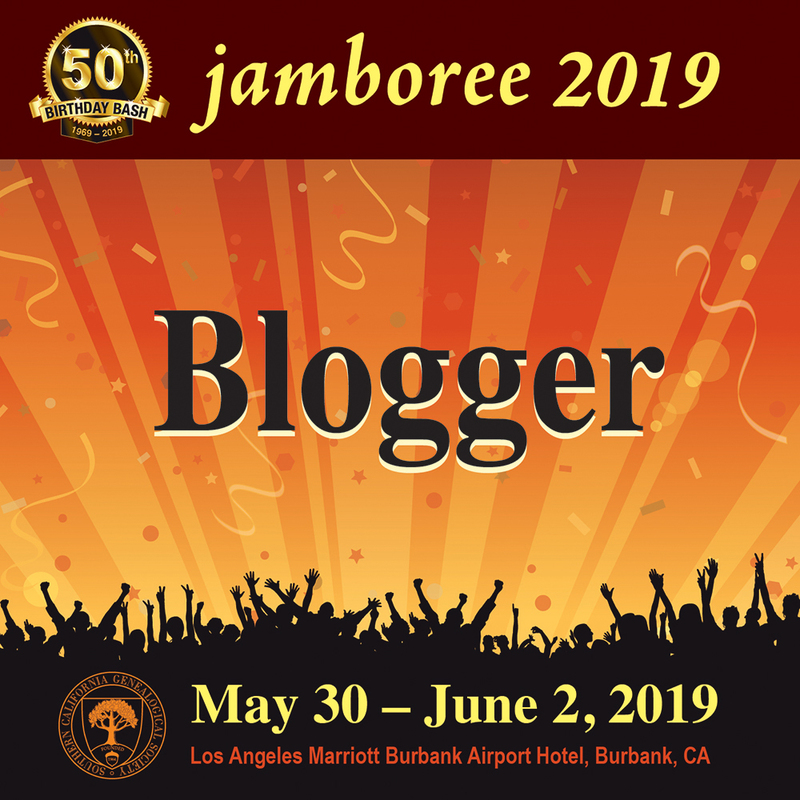 As an important blogger for avid genealogists, we would like to extend a special holiday discount on our Genographic Project Public Participation Kits for you to share with your readers. 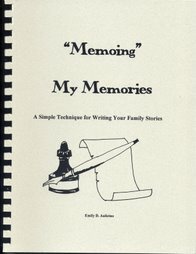 Many readers of your blog know about their recent genealogy, but do they know about their deep ancestry? This holiday season tell them how they can give their family and friends the chance to join the Genographic Project – a real-time research initiative that uses DNA as a study tool to find out about their deep ancestry. 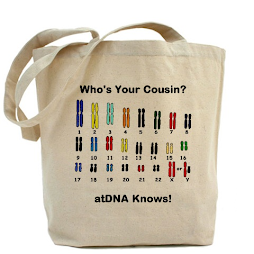 Have them visit: https://genographic.nationalgeographic.com/genographic/lan/en/participate.html The kit normally sells for $100 (+shipping and handling), but a special discount code GKHOL08 at checkout takes $10 off the price (valid through January 2, 2009). After sending in DNA with a painless cheek swab, interactive results are delivered anonymously online and detail a personal treasure 'map' of an ancient journey - starting at the cradle of humanity, in Africa, approximately 60,000 years ago. Participating is also a way of ‘giving back’ this holiday season. Please find attached a copy of our holiday discount promotional email. Join the more than 300,000 individuals who are discovering their deep ancestry and adding their own leaves to the human family tree.National Geographic and IBM's Genographic Project invites you and your family to take part in an exciting real-time research initiative — using DNA as a study tool — to find out the path of your deep ancestry. This holiday season, 'give back' while discovering something about your family's ancient migratory routes. The purchase of a Genographic Project Public Participation Kit directly supports the Genographic Legacy Fund, providing grants to indigenous and traditional communities with community-led projects seeking to preserve their culture and language.As a special Genographic Project holiday offer*, click here to order a kit. Use code GKHOL08 at check out to receive $10 off your Genographic Kit. Now available in English, Spanish, French and German. Offer ends January 2, 2009. Most everyone knows about Wikipedia, and that the resource is considered as accurate as any encyclopedia since readers continually update and repair any misstatements. 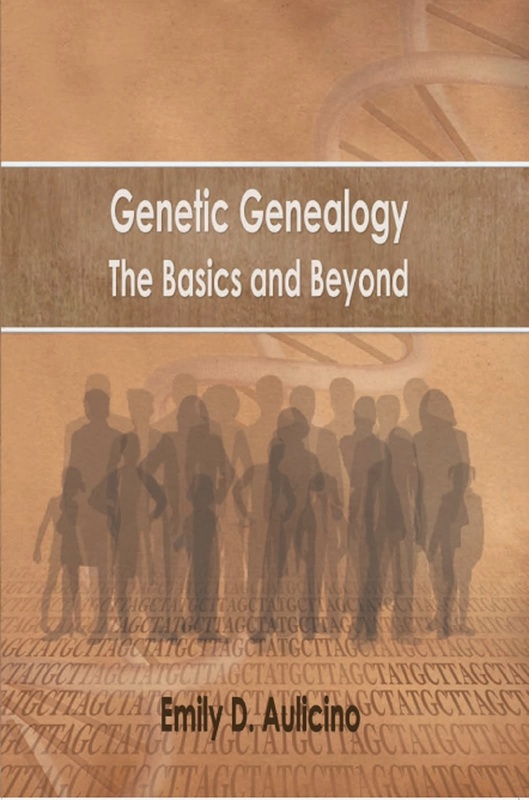 There are multitudes of pages on any subject, but here we are interested only in Genetic Genealogy. Although the depth of knowledge for the topic can be extensive, for the novice, this is a real gem. This site provides reasons for testing and addresses the concerns people have regarding testing. There are many books and online resources as well. This section has information on the terms haplotype, haplogroup, SNP, and STRs as well as they types of tests and understanding various tests. Do not be overwhelmed by the information here; the novice does not need to consume all this information. Information is provided for any level of interest and this site is most helpful for DNA project administrators, as well. Wikipeida provides one location you can locate a topic for which you desire more information and just click! 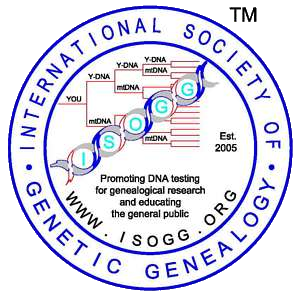 The International Society of Genetic Genealogy has also provided much information to help the beginner genetic genealogist. It would be beneficial to join the non-profit group (no cost to you, your information is not given or sold, and the only requirement is to spread the word about genetic testing for genealogy) and subscribe to their email list. I would caution you to view it online or in digest. This email list will help you learn more about how genetic genealogy helps your research, the site provides many files and links to assist you, the email list will allow you to ask any question regarding DNA and get advice from those more knowledgeable. The list is monitored by some experts in the field. Tell them you learned about this from my blog.